On our first Saturday afternoon in Houston after a month of roaming, Minal, René and I meander on our bikes along a trail that’s being built along Brays Bayou as part of a new initiative, trails to connect the city for walkers and bicyclists. Some paths are utilized by more people and landscaped better than others. 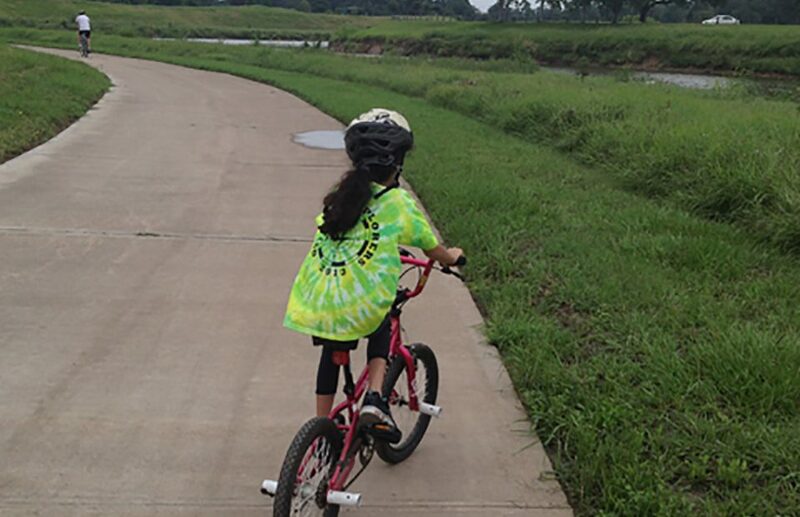 This one, a corner of the Brays Bayou, is only just beginning to be used for biking.